Since 1976, Charmaine Models and Talent has attended Modeling & Talent Conventions in New York, Los Angeles, Orlando and other major cities. 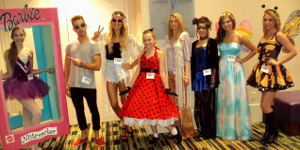 The Conventions promote education, opportunity, and placement where potential models & talent are scouted by top agents, casting directors, managers and record companies from New York, Los Angeles, Paris, Milan, Japan, and other major markets. Call Now: Anyone interested in a modeling/acting career should contact Charmaine Models & Talent (260-485-8421) to audition to be selected to attend the Modeling and Acting Convention. 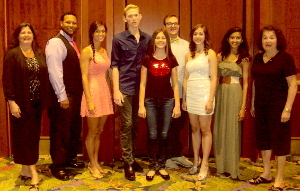 Charmaine Contestants ready for the Photography Event at the Convention. Nina Grill, Executive Director of Charmaine Models & Talent received the Lifetime Achievement Award in Orlando, Florida. 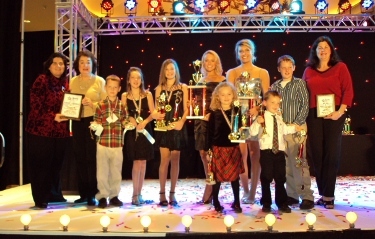 The 28 contestants received a total of 74 awards in Runway Modeling, Creative Runway, Swimwear Modeling, Photography, Cold Reading, Television Commercials, Singing, Dancing & Top Overall Model. Peyton Miller, signed with FFT Agency in New York City. 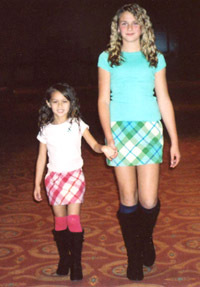 She modeled in a fashion show for the Earnie Awards. 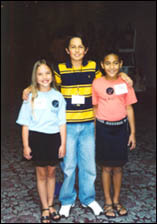 Morgan Shumaker, left, signed with Jet Set Kids in Los Angeles, California; pictured with Mitch Holleman, star of Reba, and Charmaine contestant, Tonniece Eley (right). Charmaine Directors & Models with national photographer, James Pentaudi. 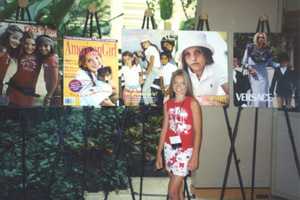 Lindsey Fingerle with posters displaying her various modeling bookings. Kendall Kintanar, left, (pictured with her sister, Elizabeth Cantu) signed with Generation Model Management in New York City. Kendall has shot for Cookie Magazine & Company Kids. 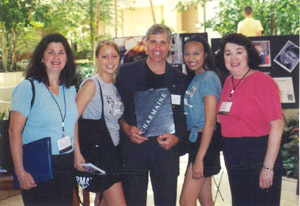 Charmaine Models & Actors attended the annual conference in Orlando, Florida. 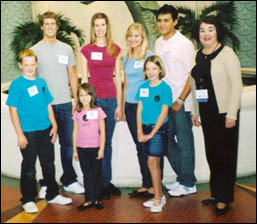 The models & actors performed in Television Commercials, Runway Modeling, Creative Runway, Cold Reading, Photography Modeling, Monologues, Swimwear & Family Runway. They were scouted by Agents & Casting Directors from New York, Los Angeles, Miami, Chicago, Atlanta, Tokyo, Toronto, Milan and other major markets all over the world.